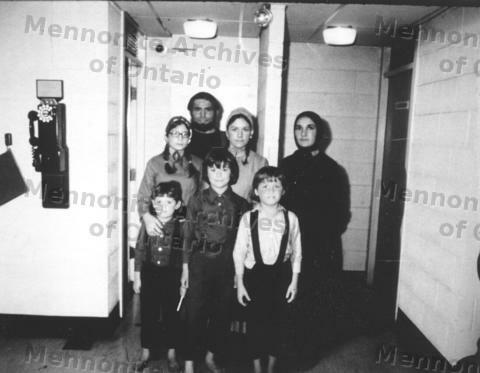 Item2015-1.650 - Cast members of "This Land is Ours"
Item 2015-1.650 - Cast members of "This Land is Ours"
Two adults and five children, probably portraying a family in the Amish Mennonite historical drama "This Land is Ours," pose backstage. The location is probably Stratford, Ontario but may also be South Bend, Indiana. The play was performed in both locations in 1973.